The Cowboys have released wide receiver Dez Bryant, according to ESPN.com’s Adam Schefter and Todd Archer (on Twitter). Despite hope that the two sides would be able to work out a revised deal, the plan going into today’s big meeting was to part ways with Bryant. Bryant was slated to earn a base salary of $12.5MM this season, a number that was too high given his recent play. With free agent additions Allen Hurns and Deonte Thompson in the fold, the Cowboys feel they can afford to cut ties with Bryant and explore other WR options in the draft. In addition to Hurns and Thompson, the Cowboys will also return with Terrance Williams and Cole Beasley. Bryant, 29, averaged 91 catches for 1,312 yards and 14 touchdowns between 2012 and 2014. Over the last three years, those averages have plummeted to 50 catches for 678 yards and 6 TDs. He also missed ten games due to injury between 2015 and 2016. Bryant has failed to live up to the five-year, $70MM extension he signed with the Cowboys prior to the 2016 season, but he still figures to attract interest on the open market. Bryant will have to temper his salary expectations, however, since his performance has declined and much of this year’s cap room around the league has already been spent on free agents. The Cowboys will release Bryant straight away, according to Archer (on Twitter), which will create $8.5MM in cap space with $8MM in dead money. If they had designated Bryant as a post-June 1 cut, it would have carved $12.5MM in cap room that would have been available starting June 2. He’s going to sign with a contender (pats, saints, packers, Steelers, Eagles, Rams, Seahawks) for a cheap 1 year contract to rebuild some value and then try to hit another payday in free agency next year. You can’t re-establish value when the team that signs you plays you as a number 3 receiver. His WAS talented he is average now so he now becomes a guy who floats from team to team until his salary bottoms out to a million a year and eventually retires as the most overrated WR Cowboys ever drafted. He’s going to New England. I’m not a Pats fan, just a realist. This is tailor-made for them. They need a WR after trading Cooks. And Bryant needs to rebuild himself. Was just think the same thing. I’m a pats fan. I think he signs for 1 year to rebuild some rep so he can a bigger deal next offseason. Im a pats fan and i really hope he doesnt go to new england! We can find better somewhere else and someone who can actually produce and CATCH the ball and not be a damn cry baby if there not thrown to. Yeah I don’t see NE being realistic based on his selfish behavior on the field. I don’t think BB would put up with that. Perhaps Randy Moss can be an example for Bryant and he ends up there and the reality of his career sets in. They tried this with Albert Haynesworth.. The Seahawks are probably the ideal fit after losing both Richardson and Graham. Wilson needs another legitimate target after Baldwin. 49ers would be good for him but I think Shannon is content with his weapons. He would look good in the red and gold. So stupid! Even if they get Calvin Ridley this team just got worse.. Hurns is a scrub, Williams is a scab, Beasley is a midget, Thompson is a never was and it is a bad year for WR’s in the draft.. just reallly dumb.. should have given him 1 more season to show he’s still got it, bc he most definitely does! Who is going to trade for him? And why would a team give up an asset, even as low as a 7th rounder or conditional pick, when the Cowboys were likely to cut him any way? Same thing as the release of Jordy Nelson. When WRs can no longer run, and both Bryant and Nelson qualify, you can’t pay them. Gruden will find that out soon enough and so anyone that signs Bryant. 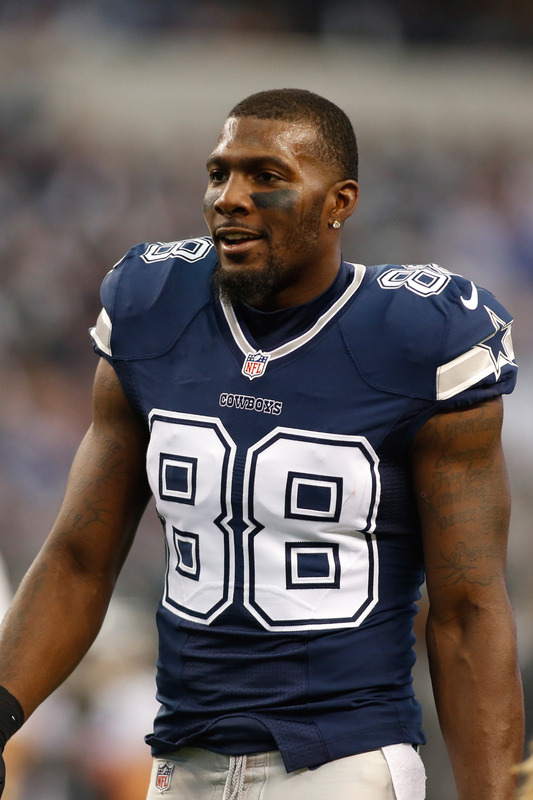 Not surprising, but Dez still has something left in the tank. Dez’s drop off has more to do with the Cowboys shift in offensive philosophy (from a pass-heavy Romo-led offense to the run-heavy Prescott-led offense). Not saying the Cowboys will necessarily miss him, but there’s no one (aside from Witten and maybe Elliot in the short-yardage pass plays) that would worry teams in the passing game. He’s no longer a game breaker, but his size definitely makes him a better than average possession receiver. It’s hard to tell if he fell off due to age or if he wasn’t productive because of a run-heavy offense and an overrated one-year-wonder QB. I think a lot of teams would take a flier on him on a reasonable one year contract or maybe even a one year with a team option for year 2.